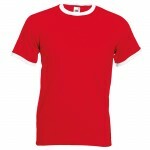 The classic Fruit of the Loom tee with contrast detailing. 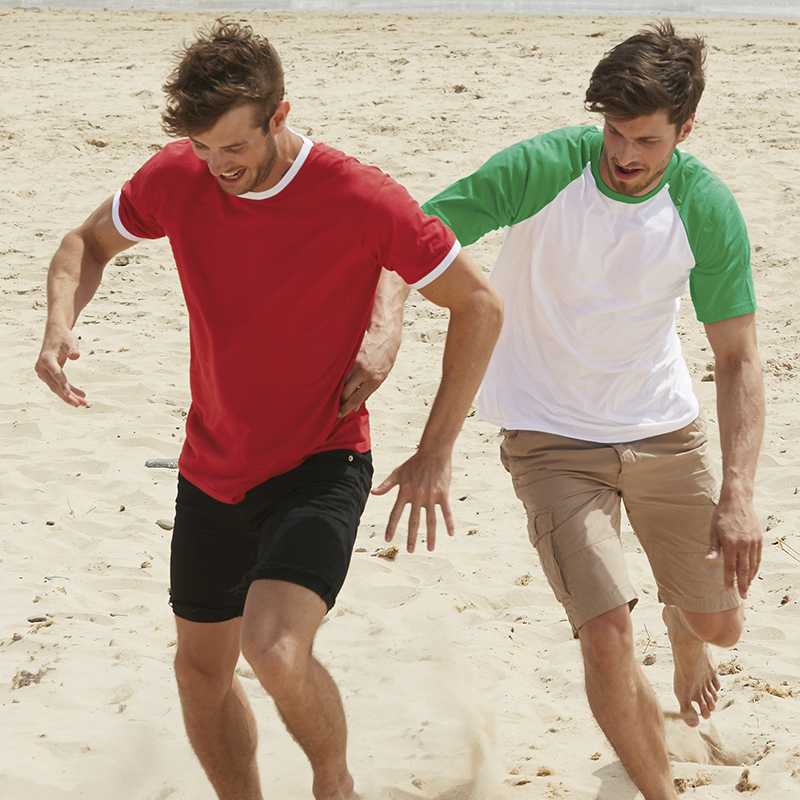 The Fruit of the Loom Ringer Tee is cut in a classic fit and crafted from durable 100% cotton. The main design feature of this tee is its instantly noticeable contrast collar and sleeves, which provides a sporty look. 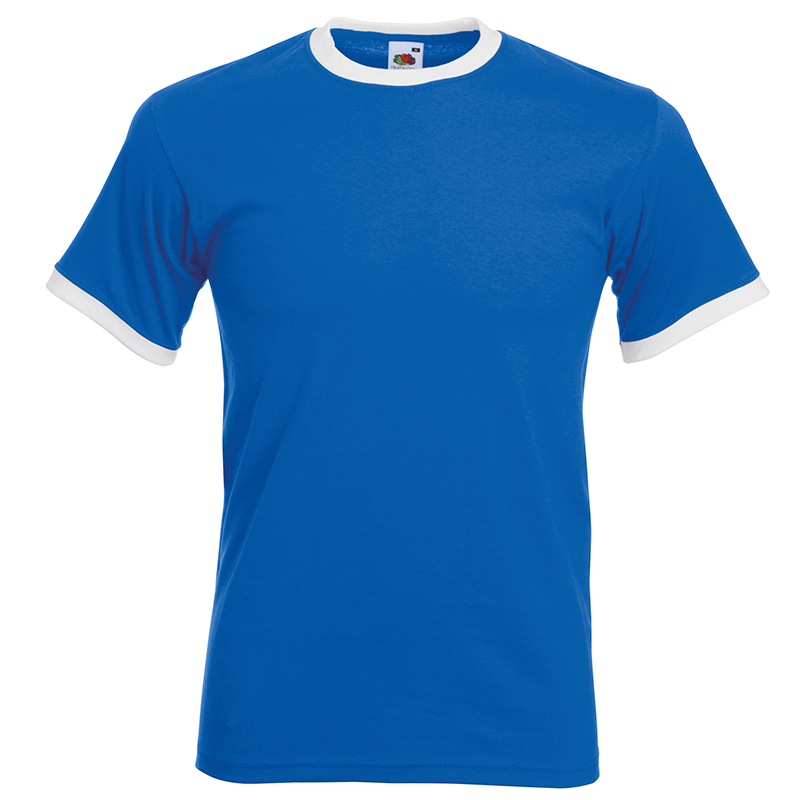 Match the available colour combinations with your company, club or society logo to create the ultimate team apparel. 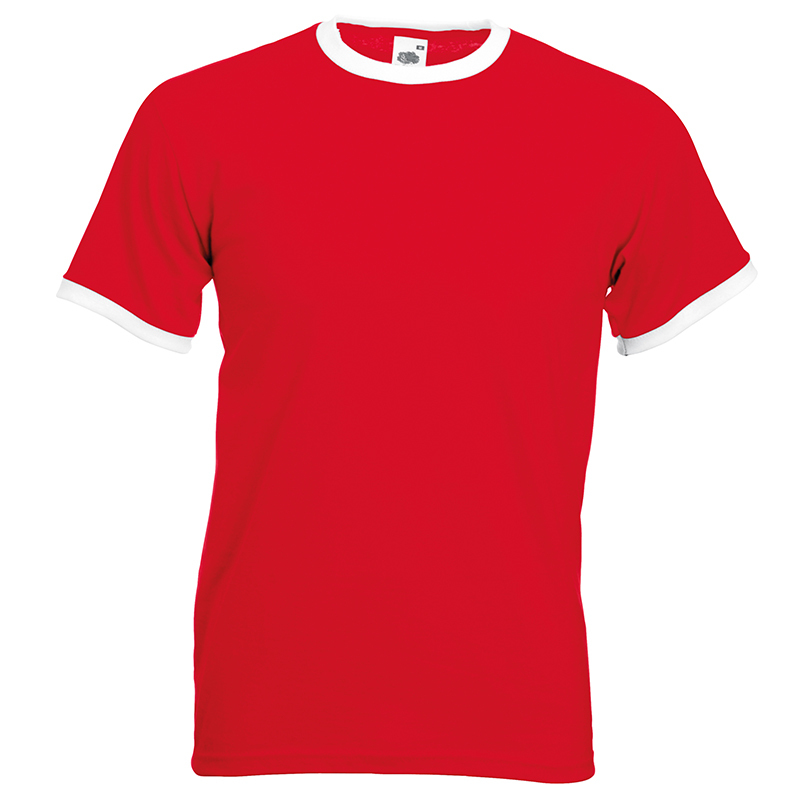 Use our online designer to add your logo to this Fruit of the Loom t-shirt!